Please have a look at the photo's on the Right side Menu. 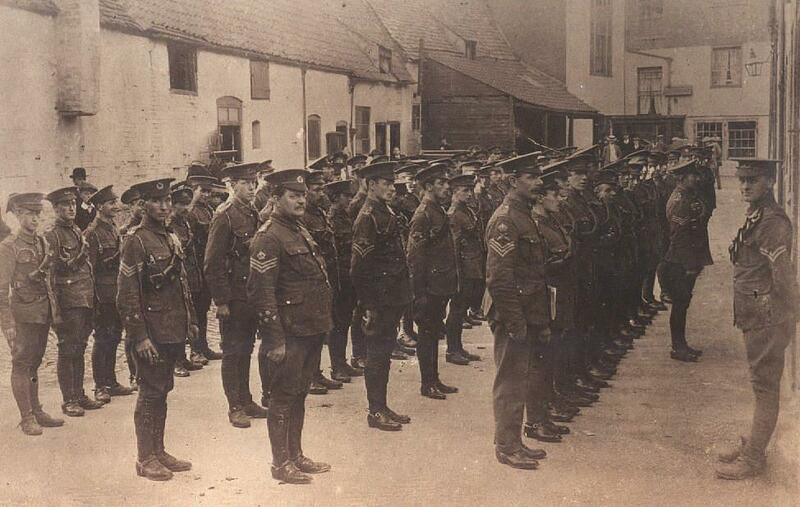 photographed in the Bull's Head Stable Yard, Loughborough on 6th August 1914. Sergeant Major Diggle, with five TF efficiency stars on his right arm, stands at the end of the second row. 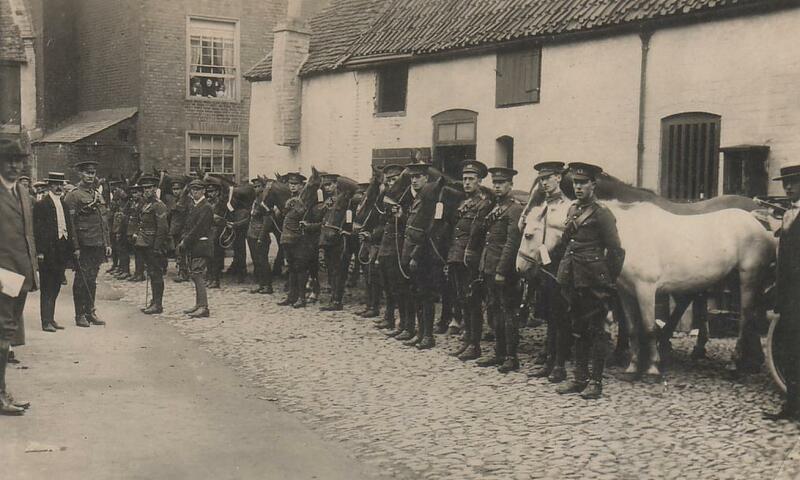 photographed in the Bull's Head Stable Yard, Loughborough on 6th August 1914.